Asad Abbas & Co. (Chartered Accountants) is an audit and accounting consultancy firm in the United Arab Emirates (UAE) which renders professional services to clients in UAE. Services provided by the firm include statutory, external and internal audit, accounting and financial management consultancy, accounting and finance outsourcing, project evaluation, feasibility studies, company formation for offshore companies in JAFZA & RAKICC, liquidation, tax services, financial expertise in UAE courts, and allied services. Asad Abbas & Co. has established a reputation for excellence in the business and professional community. That reputation is not the result of “good luck” or “coincidence.” It is the result of hard work, diligent service to our clients, the development of industry expertise, and the creation of an exciting workplace. The firm is led by a team of qualified and widely experienced professionals dedicated to the practice of the profession in the highest standards and committed to providing the best services to our clients. The firm is fully equipped and provides services catering to a wide spectrum of clients, from individuals to corporate entities, small organizations to large companies, and domestic and multinational. We ensure compliance with the latest international standards and are continuously abreast of the latest developments in our fields of practice. On behalf of Asad Abbas & Co.'s professional family, welcome to our page. 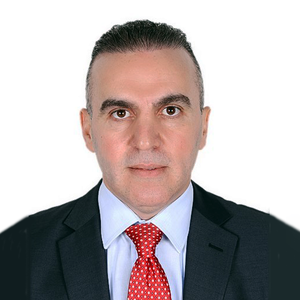 We hope that the time you spend familiarizing yourself with our profiles, our industry teams, and our breadth of services will leave you confident that Asad Abbas & Co. can provide you with expert partners who provide in-depth industry knowledge and innovative insights to your business and personal financial issues. Our commitment to technical expertise and excellent client service is unparalleled. Please do not hesitate to contact me directly at asad.abbas@abbasaccounting.ae, and visit our website for any further information.